Over the course of the years, regardless of the immediate reason that brought people into therapy, I have treated people with painful issues of perfectionism, shame, indecisiveness, control issues, and a fear of needing others. This constellation of issues kept appearing in a majority of my clients, regardless of gender, age, or cultural-ethic group. Rather than solely focusing on coping with symptoms of these anxieties, I have helped people go inward, facing the specific fears that caused these symptoms. I have found that these painful symptoms--defensive in nature--would lessen considerably or simply vanish when the core issue was addressed. It was my dream for many years to write a book to reach a wider audience, one that would help others with these symptoms understand them themselves, and find the relief they deserve. 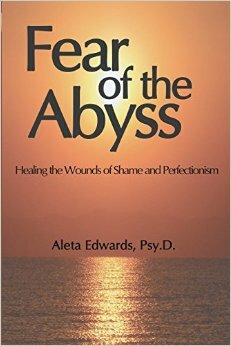 This book, Fear of the Abyss: Healing the Wounds of Shame & Perfectionism, appears in ebook format as well as in paperback. It can be ordered at Amazon.com.